Colossi builds handmade bicycle frames using traditional hand-crafted techniques lost in todays modern industrial world. 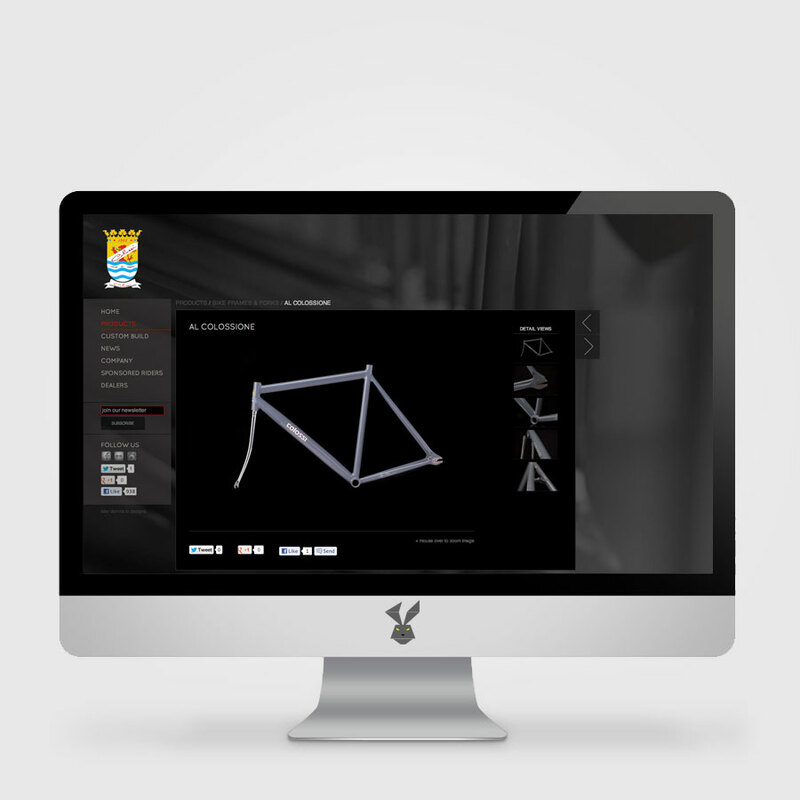 Colossi manufactures custom bicycle frames and parts for track, road, mountain bike, cyclocross or BMX. This custom built template was integrated into WordPress, giving the client control to manage all the products and pages on the website. With a full eCommerce platform, this enables the client to add new products and categories. Integrated with social network sites like Flickr and Facebook for dynamically updated content.